Wowee! This family estate is up for grabs. Owners re-locating and need this sold. The price is ridiculously low at over $200,000 below RV! This estate encompasses two dwellings on 5019m2. 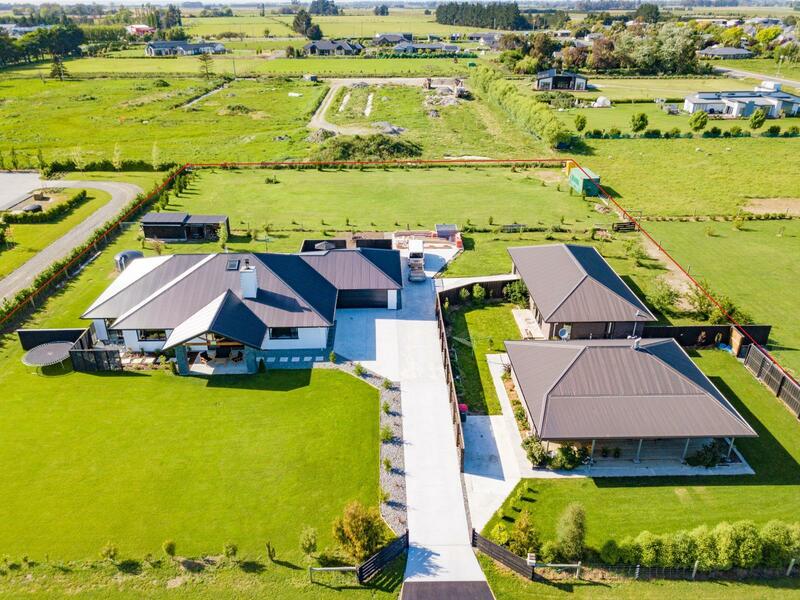 Included in this is a rear paddock of approximately 2000m2 with own access. The main house (approximately 1 year old)is highly spec`d and tastefully decorated. With four main bedrooms, an internal office, sunroom/nursery and kid`s retreat. There are two patio areas and a new spa pool. The gardens around this home are landscaped and easy care making it a wonderful spectacle with street appeal. The second dwelling is a fully consented family flat of about four years old. It includes two double bedrooms, a full bathroom and a hideaway laundry. It has a modern kitchen and open plan dining/living which flows out to the verandah area.Also with this family flat is separate parking and it`s own private gardens and lawns. Finally, a third stand-alone, separate building offers a double garage, bathroom and gym also with privacy and a sheltered courtyard and garden. This estate was purposefully created to cater for the Vendors large family and relatives to all live together on the one property while still having privacy and individuality. Sadly Mum and Dad can no longer stay and the Vendors are working out of town. Opportunities like this are extremely rare and this ticks all the boxes for the larger family.